As of March 31st 2016, Safe Animals in Australia are shaking up laws, the RSPCA and anyone in their way. 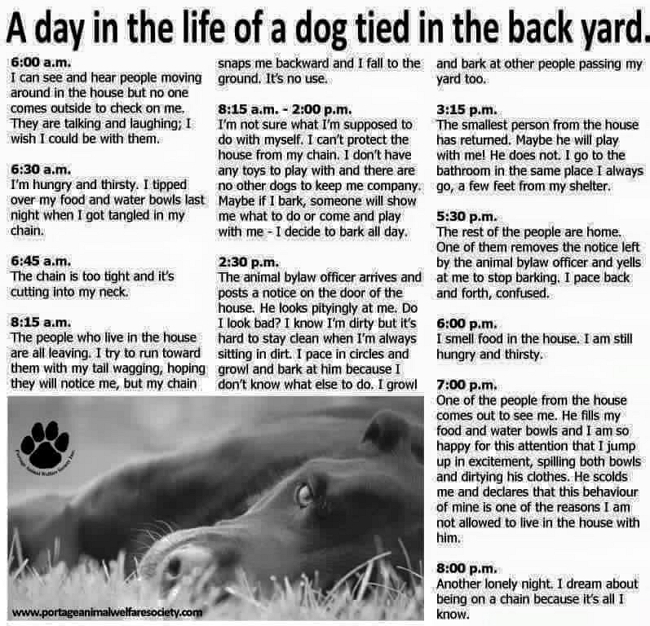 It should be illegal for any dog to be chained or tied in the backyard in every state in Australia. It borderlines cruelty to animals, certainly is not in line with our obligations to care and provide welfare to animals. In a lot of cases that we have whitnessed this act as down right dangerous and not the way any animal should live their life tied or chained in a backyard all day. Safe Animals in Australia get their power the same way the non profit organisation RSPCA does. Take a drive down many country roads and city streets, and you'll see Dogs left to spend their entire lives in "solitary confinement," trapped at the end of a chain or in a small pen. We can't think of a crueler punishment for these social pack animals who want and deserve companionship, scratches behind the ears, walks around the block, and the opportunity to curl up at their guardians' feet at night indoors. Kept "out of sight, out of mind" in the back yard, chained dogs are often deprived of adequate food, water, and veterinary care. In addition to having their emotional and social needs completely ignored. Many are denied proper shelter and have nothing but an overturned trash bin or plastic barrel or nothing at all to shield them on freezing winter nights. 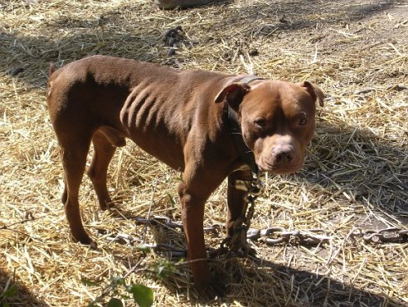 Countless chained dogs have frozen to death during cold snaps or died of heatstroke on sweltering summer days. Chained dogs are also totally vulnerable to other animals and cruel people, and many chained dogs have been stolen, set on fire, shot, stabbed, tortured, or poisoned by cruel passersby or neighbours who were annoyed by their barking. Given these cruel living conditions, it's no surprise that chained dogs often become aggressive and attack children or other people who approach them. Chained dogs are more likely to bite because they are usually unsocialized, their living space is reduced to a few square feet, which heightens their territoriality; and they don't have the option of escaping during a confrontation. Note: Safe Animals in Australia is not related to the organisation Animals Australia. Just because their legislation does not recognise it, we as humans will not sit and wait for them to play catch up. 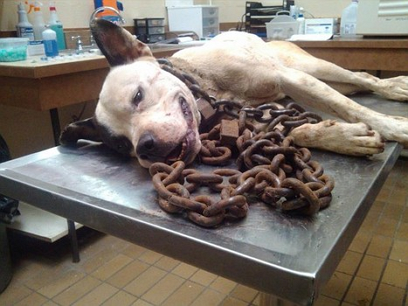 Chaining dogs is inhumane. Chaining or Tying Dogs Stops Today and It Starts With You.